Would you like to smell like a rose? 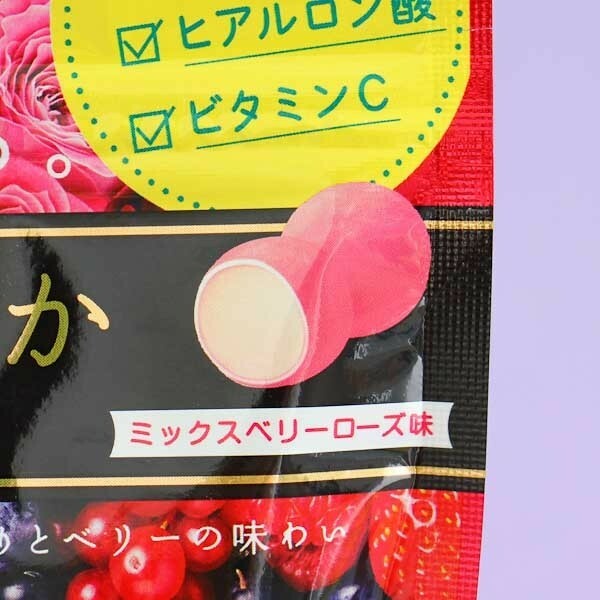 These berry rose candies contain ingredients that are beneficial for your skin and they can even improve the natural fragrances of your body. 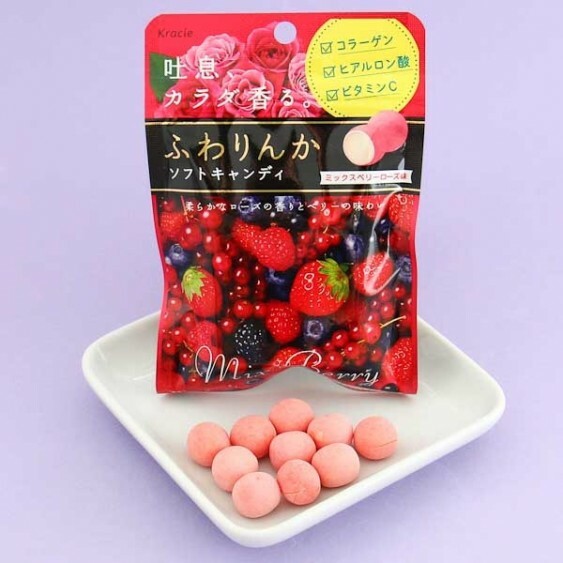 These soft chewable candies are covered with a nice crisp shell and they have a juicy berry flavor with a lovely scent of rose. 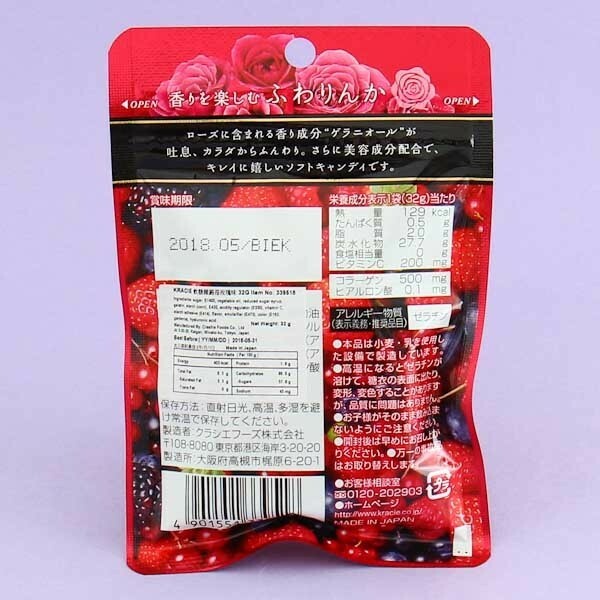 The package is resealable and it is the perfect size to fit into your handbag! Be kawaii!